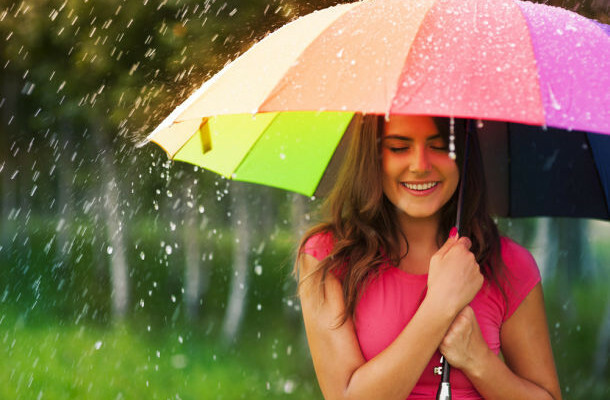 As much as your body enjoys the cool breeze that comes with the rains during monsoon, our skin tends to get patchy and the makeup starts dripping due to the increased humidity. Even though the weather is humid, one must always moisturize his/her skin as the skin tends to get dry at times. Keeping a good moisturizer handy always works and creates an even skin for the application of makeup. Use water-based moisturizer on your skin as it will absorb all the oil. During the monsoon, one must avoid using cream based products. Instead, apply powder to give a matte effect. Don't apply too much foundation and concealer. Use some powder as the base to apply your makeup on. A powder-based foundation will last longer in the humid weather. Also, using a primer is very essential before applying the makeup. "The best bet for your lips is matte tints. Opt for soft mattes, pink shades or soft browns instead of the bold and bright reds. Avoid gloss and go for matte finished lips during this season. Gloss and cream lipstick should not be used as they would bleed in the humid weather," said Millennial Makeup Artist Bhumika Bahri. According to Celebrity Makeup artist, Niti Luthra, "Make sure you use waterproof mascara and eyeliner. When it comes to liners, ensure you hydrate your lids before applying the ink. For a flawless matte finish, go for a felt-pen liner verses a pencil that is cream-based. Ditch the black Kajal pencil and opt for a white or brown color pencil to line your eyes. They will widen your eyes and won't run off due to the rains." When it comes to blushes and eyeshadows, opt for a powder based blusher and eyeshadow instead of the cream based ones. For eyeshadows, colors like creamy pink, light brown, pastel and beige work well in this season. "Makeup is all about enhancing your features. It's best when it's neither too much nor too less. The right kind of shades matter. One should experiment for sure but carry that looks best. Less is more, that's the beauty of makeup," added Niti.